Trond Giske, long one of Norway’s top politicians for the Labour Party, has gone on sick leave after finding the pressure of an emerging scandal around him hard to bear. On Saturday Labour Party leader Jonas Gahr Støre called in members of the party’s central leadership to an extraordinary meeting in early January, to deal with what many are calling the biggest crisis to hit the party for many years. “We have to get together,” Støre told state broadcaster NRK on what was supposed to be the country’s “Little Christmas Eve” holiday called lille julaften. Instead of gathering with family to eat traditional grøt (porridge), decorate the Christmas tree and do last-minute baking and package-wrapping, Støre was having to deal with more fall-out from the charges of sexual harassment swirling around his deputy leader Giske. Complaints filed recently in the wake of the international “me-too” campaign against sexual harassment indicate Giske has been a repeat offender. He has publicly apologized for what’s been called “inappropriate behaviour,” some of which occurred when he held powerful positions as government minister in charge of cultural and religious issues and, later, as Norway’s trade minister. That’s not likely to be enough. Even long-time Labour supporters have been harsh in their assessments of the reports of sexual harassment carried out by Giske in the past week, with political commentator Arne Strand at newspaper Dagsavisen writing that “Trond Giske has brought his party into its biggest crisis in many years,” just as it was in the process of recovering from the crisis caused by its election defeat in September. Strand didn’t mince his words: “Rumours have flown for years about Giske’s hunts for younger women. He was reprimanded in 2011 … it didn’t help. When he was nominated as the party’s deputy leader in 2015, he was asked whether there was any substance to the rumours. He denied that and was unanimously elected.” Strand also accused Giske of misleading Støre and “putting the party leader in a hopeless situation” by not telling him the truth about his behaviour towards younger women. “The Labour Party cannot have a deputy leader who is unfit to be leader,” Strand wrote. He predicted that Giske, who recently and controversially replaced Marianne Marthinsen as head of the Parliament’s finance committee, “is finished” as a top Labour Party politician. Several other party members are also calling for Giske to resign as deputy leader. Støre can’t fire him, because party leaders are elected at the party’s annual meeting. It’s long been said that Norway’s Labour Party “is no Sunday School,” with a long history of bitter internal power struggles and conflicts between the party’s left-wing and right-wing factions. 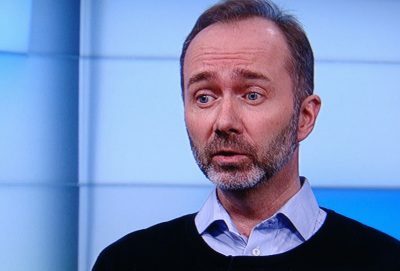 Strand and many others maintain the crisis over its deputy leader’s behaviour is not connected to any power struggle aimed at discrediting Giske, but rather is a direct result of the “me-too” campaign that has emboldened many women to finally reveal the sexual harassment to which they’ve been subjected over the years.